February is Retro Month, which is a great time to catch up with old friends - for instance, "Bone Heads of Voodoo Island" (or, as it was later renamed, Bionicle). The last time we checked in on the story was 2009. After that, Mata Nui reunited the warring Glatorian tribes and they realized that their villages were all part of a giant robot body, which Mata Nui instructed them to reassemble so he could pilot it. He defeated Makuta and all the Matorans got to live on the new world of Spherus Magna. That was in 2010, and then slowing sales saw the Bionicle line cancelled. Hero Factory replaced it for four years, but in 2015 Lego brought Bionicle back - not in the same story, but as a reboot. Kopaka is noble and reserved. Upholding his own strict moral code, he strives to be perfect and always "do the right thing." A fact that often makes him appear a little cold in the eyes of the other Toa. Luckily, Kopaka's not too solid direction sense helps the heroes remember that, after all, Kopaka is just a Toa like them. Clearly "Generation 2" is starting from a very similar place as Generation 1: you've got a mysterious island, masks of power, and six elementally empowered Toa. Most of the masks even look like their G1 counterparts, but none so much as the Mask of Ice. Like the original Akaku, it's mostly rounded, with three "lenses" over the right eye, and three more round design elements in the mouthal area. Granted, this one doesn't have any special vision powers, or even a name - it's just a similar look. 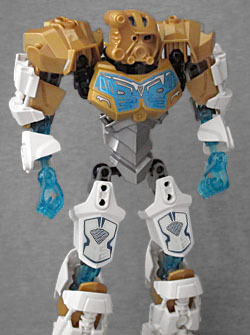 Toa have really bulked up since 2001 - the original Kopaka was about 7" tall, but Kopaka Nuva broke that mark, and Kopaka Phantoka towered over them both. This new version, despite being the "Round 1" incarnation of the character, is 8⅛" tall. How big are the plain villagers in this reboot? Are there plain villagers in this reboot? There must be, or who would the Toa need to protect? But it's not just his height - he's completely armored up, with shoulders so huge they nearly come up over his head. It definitely says "powerful," but it also says "I am going to plummet straight through any snow or ice I try to step on." Also, I'm not loving that so many of the pieces are gold. 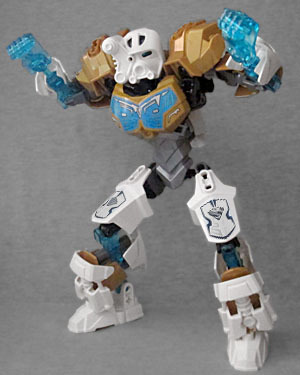 Back in G1, the Toa eventually got golden Kanohi that allowed each of them to access all six powers, but that was a special thing achieved through struggle and effort, not a Zero-Day feature. Plus, it really messes up the figure's colorscheme - instead of being a big white icebot, he's a mostly-white icebot with random gold shoulders and shins. The translucent blue used for the shins, forearms and hands could almost work (because ice, remember? ), but the gold just breaks up the look. There are a lot more balljoints in this Kopaka than in his forebear - ankles, knees, hips, wrists, elbows, shoulders and neck. Plus there are even more in the middle of most of the bodyparts, because now balljoints are how the armor attaches, rather than + pegs, so don't expect any backwards compatibility. We get dual-sided hands, similar to what the Glatorians had. Similar, but not identical - these hands have four fingers, not just three. His shoulder armor is attached to the chest piece, not the actual arms, but again, it's balljointed so it won't get in the way. 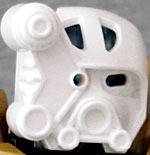 The reboot also brings back the "plain grey head with a translucent brain" gimmick of the original Toa, but with a twist: the entire thing's been redesigned, and now the masks attach by two gentle clips on the cheeks. The brain bit is hinged, so when you hit the back, the front pops up slightly, knocking the mask off. That's not bad, but again, Bionicle is Lego, and so forgive us if we think every new piece should be able to work with every old piece. 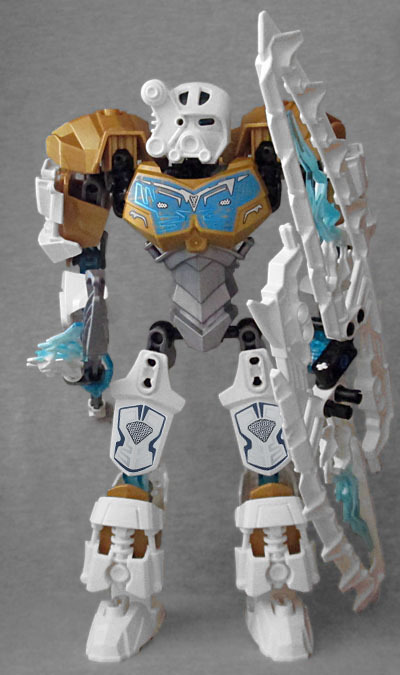 Kopaka is armed with an Ice Spear, and carries a Frost Shield. You can also split the shield in half and turn it into Avalanche Skis for quick getaways! Or to give him two swords, I guess. Whatever you're into. There are bits on the shield and the spear that look like crackling electricity, but are cast in trans blue with white near the base to make them look chilly. The tip of the spear is Guurak's staff! Turning a gear on the figure's back makes his right arm swing, which is a nice throwback to the original days of the property. One thing G2 is doing right that the first go-round didn't is including enemies right from the start. 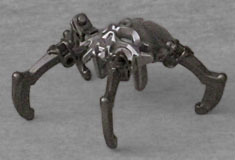 If you remember, it took until the second year of the line for the first antagonists, the Bohrok, to show up; well, these sets all come with a Skull Spider, one of the tiny creatures overrunning the island of Okoto. 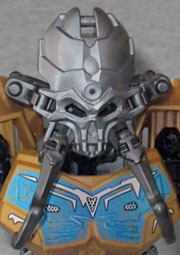 The Skull Spiders have four legs, and different colored bodies - Kopaka comes with a silver one, but there are also greens and blues. The silver subspecies of the skull spiders is the fastest. They strike with a lightning speed that makes even Gali impressed. 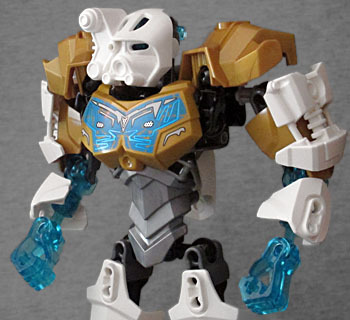 They also seem to take a cue from the Bohrok's Karana. If you recall, the Krana were living creatures that could take over a Toa if its mask had been removed - similarly, the Skull Spider body is actually a mask that can clip onto the Toa's face and turn it evil. It kind of looks like a Predator's bio mask, especially when done in silver. 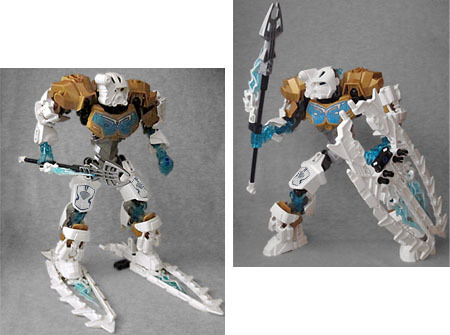 One of the best things about the original Bionicle line was how cheap it was: $7 for the Toa, $3 for the Turaga sidekicks, and $2 for the blind-boxed mask packs. Now we're looking at $15-$20 for the Toa and $10 for the Protector sidekicks. It's not even a question of inflation, because the price-per-piece is actually lower than it was in 2001! The problem is that the set is so big and fancy, it feels slightly overdone; if this is supposed to be the start of an entirely new continuity, why not start them off small and simple again, and rebuild the fanbase at the same time you rebuild the characters? Kopaka's nice, but he doesn't inspire me to dive back into the line - still, it was nice to come back for a visit.